MTI Adventurewear has redesigned the Livery PFD to keep dirt less visible in high wear areas around the neck and shouders. Perfect for summer watersports fun. Ideal for camps, rental operations, and people on a budget. 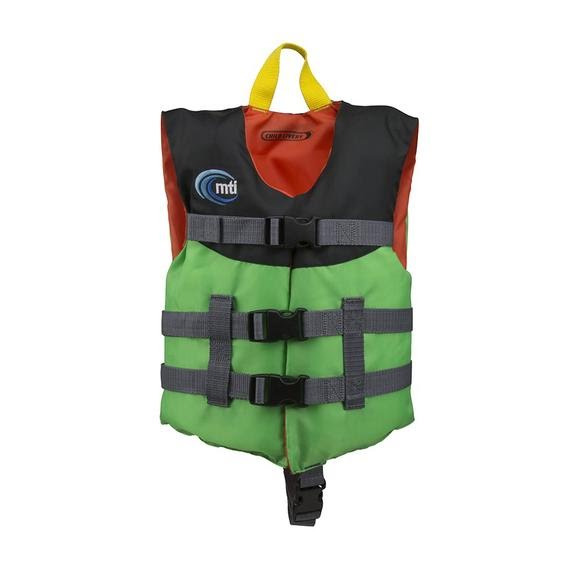 Lightweight and comfortable for fit active, younger boaters with some swimming ability. NEW for 2016: With black fabric around neck and shoulders to minimize visible staining.